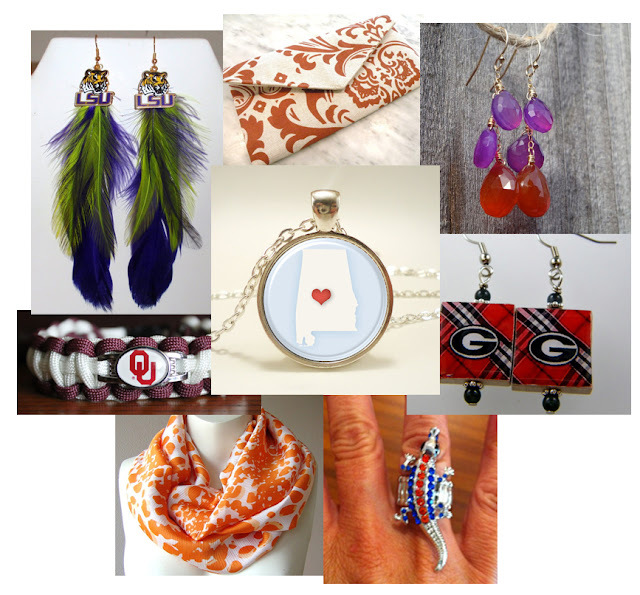 Etsy is the mecca for gameday accessories. It has a powerful search tool so you can search by your team or your team colors. The feather earrings above are gorgeous. Happy shopping!